The American Civil War may have purged Atlanta, GA, of its Antebellum architecture, but the Southern city has plenty of Southern charm. Yet Atlanta’s recent turn as FinTech hub has put a premium on the city’s growing urbanization. As a result, downtown areas are the new suburbs. And neighborhoods have transformed into Millennial hives that blend workspaces and living amenities with a healthy dose of gentrification. But growing urbanization has also put architecture and engineering firms like Pond & Company, RJTR, and Corgan on the front lines in the battle to define Atlanta’s metropolitan identity. They’ve certainly proven up to the task in a bold way. Firms like Pond & Company, RJTR and Corgan are shaping Atlanta through its trend of urbanization. When growing urbanization overtook New York, master builder Robert Moses seized the opportunity to reshape the concrete canyons and infrastructure. The result: highways, tunnels, numerous buildings, and even a since-torn-down baseball stadium, each leaving an indelible mark on the urban fabric of the Big Apple. But those urban development wheels remained in constant motion. These days the battle for that city’s soul is stuck straddling the line between innovation… and aging eyesores. Not so for Atlanta, which today is one of the fastest growing urban areas. 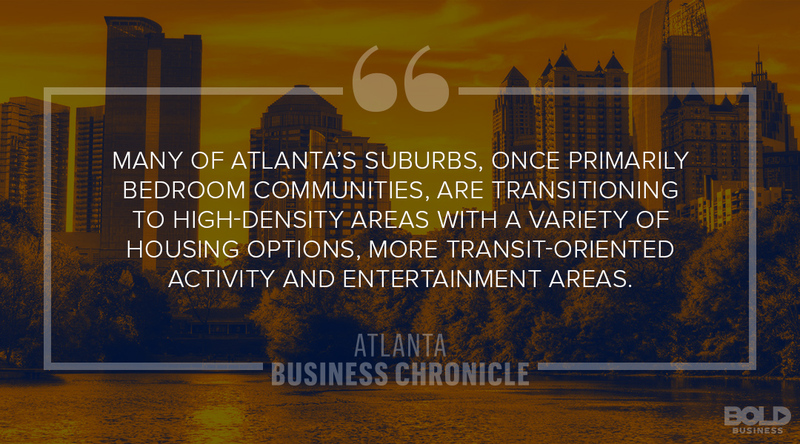 Always a more modern city than most, growing urbanization has molded the “ATL” into something more “user-friendly”. Millennials, who make up most of the current workforce, prefer to live in close proximity to their work. So urban planners have made work environments more accessible through transportation and amenities. 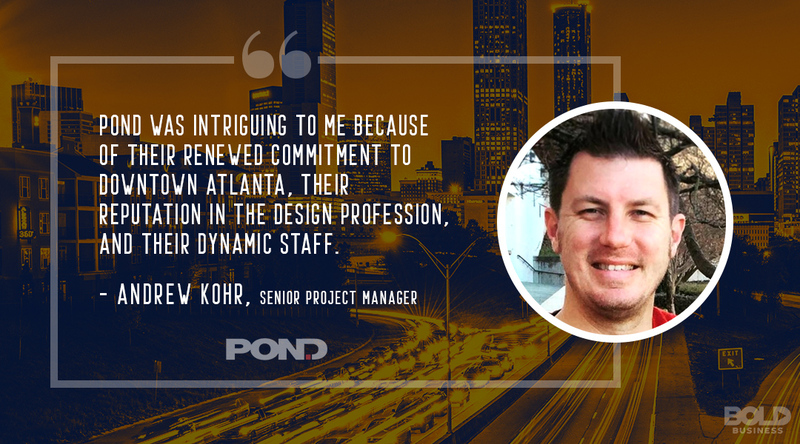 Meanwhile, for architectural firms like Pond, RJTR, and Corgan, mixed-use has become the new standard of urban development in Atlanta, where residential, commercial, institutional and entertainment functions are fully integrated into one area. These companies are bringing this vision of growing urbanization to life, effectively transforming the soul of Atlanta. 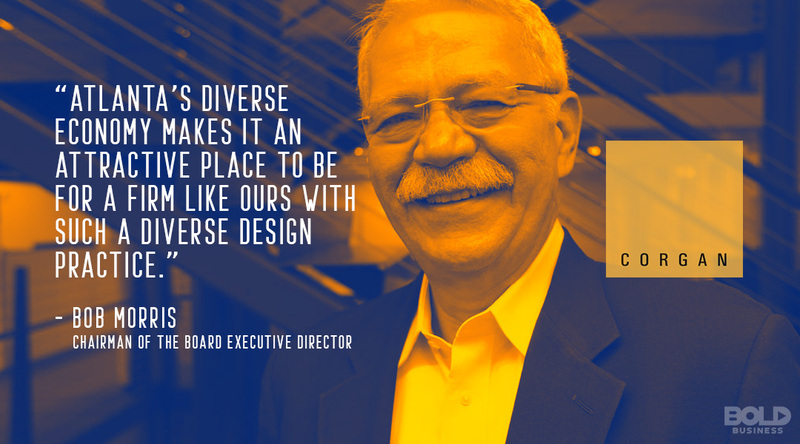 Founded in 1965, Pond is a progressive, full-service planning, architecture, construction, and engineering firm. It serves corporate, government and private sector clients in the US and globally. Pond prides itself on taking on projects that fuel the economy by creating spaces conducive for living and working. In May, it was ranked by the Engineering News Record as 119th in the Top 500 Design Firms of 2018. It has been consistently moving up, from 429th place in 2010, and 113th in 2017. Growing urbanization in Atlanta means blending living space with workspace, and Pond & Co. has been at the forefront of this trend. One of Pond’s recent projects is the Southface Energy Institute Eco-Office. It presents green construction techniques for a commercial office building. 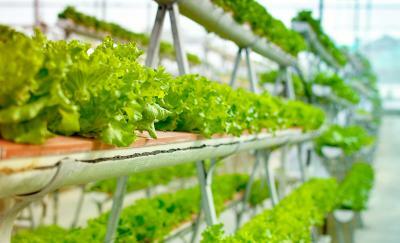 It is designed to catch stormwater for use inside the building, and clean water for irrigation. The green roof covering the building reduces stormwater runoff and regulates interior temperature. Pond designed and constructed a building where nature, beauty, and sustainability converge. In 2017, Atlanta announced its commitment to eventually run entirely on renewable energy. Pond’s design and construction of the Southface Energy Institute Eco-Office shows that they’re already ahead of the curve. RJTR is known for its excellence in architecture, interior design, and master planning. With the company’s vast experience in national and international projects, RJTR is an expert in initial site testing, conceptual design, and project realization. The Atlanta Business Chronicle ranked RJTR as one of the top architecture and interior design firms of 2017. Nothing defines a city like the architectural design of its buildings, and Pond, RJTR and Corgan have used Atlanta’s growing urbanization trend to mold the city into a Millennial dream. 60 11th Street is an RJTR project with the Daniel Corporation and Selig Enterprises. It is a mixed-use complex with plenty of amenities for relaxation and fitness. 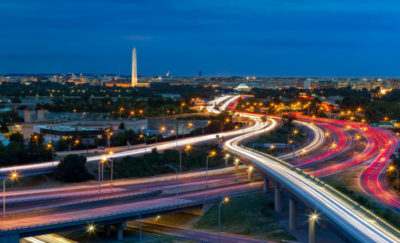 Each unit features energy-efficient lighting and controls in conjunction with other LEED (Leadership in Energy and Environmental Design) Silver offerings. The company is also spearheading the architecture, planning, signage design, and retail lease exhibits for 12th and Midtown. It is a mixed-use development that provides thousands of square feet for high-end grocery and street-level retail stores. It adds another dimension to the dynamic skyline of Atlanta. Post-war America saw metropolitan populations migrate to the suburbs for house and home, leaving work for the cities. But Millennials in Atlanta have eschewed that commuter lifestyle. Instead, home isn’t far from the office. Places to shop and play are nearby, as well. Corgan has helped realize this model for Atlanta. Consistently ranked as one of the top architecture firms in the US, Corgan also specializes in design projects in fields such as aviation, critical facilities, education, and health care. The company aims to create spaces that have an impact on its end users. Their designs mix functionality, aesthetics and sustainability. One such creation is the Mannington Commercial design center. Mannington is a 14,500 square foot multi-purpose facility that serves as an event space and meeting place. With an interior constructed with reclaimed wood and exposed brick, the building looks exactly how you’d imagine a modern Millennial work space would: cool and trendy. Atlanta has long been considered one of the more “modern” cities of South, and Corgan has helped shaped this fast-growing urban area. Over a decade ago, Atlanta began to redefine itself through its Millennial lens. As the Atlanta Business Chronicle put it, “the development concept for real estate planning and design that combines homes, coffee shops, and dental offices within an easy walking distance of one another… has sowed its seeds all over metro Atlanta.” Since then, the city has grown, and its self-image has come into sharper focus. And all the while, firms like Pond & Company, RJTR and Corgan have been doing their part to make growing urbanization a way of life.